We’ve all heard of the big-name conventions in the horror game: Scare-A-Con, Texas Frightmare, Mad Monster Party, Monster Mania, HorrorHound Weekend…the list goes on and on. But sprinkled in there are smaller, local conventions that are just as much fun as the big guys (and a lot more manageable for first-time convention goers too). 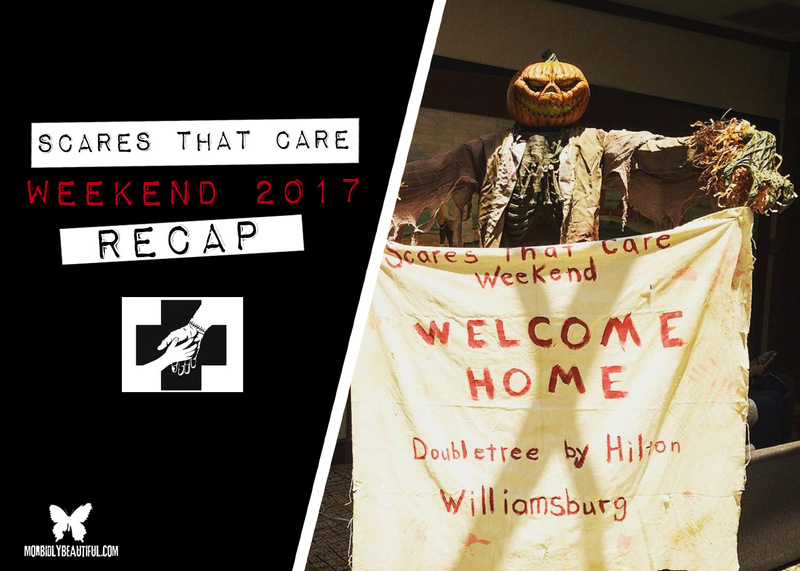 One such event is Scares That Care Weekend in Williamsburg, Virginia. Scares That Care is a charity organization that hosts a halloween event aimed at raising money for “fighting the REAL MONSTERS of childhood illness, burns, and breast cancer.” Each July, tens of thousands of dollars are donated to families in need. 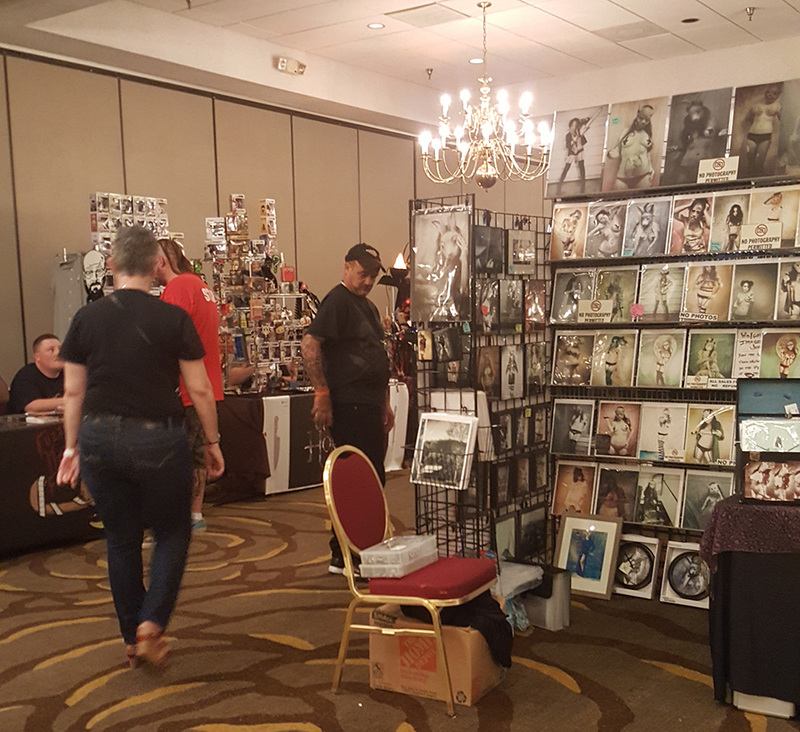 Scares That Care has everything you could want at a horror convention: merchants and vendors, workshops, film festivals and showings, scary-oke, and my favorite, celebrity photo ops. Everything is just scaled down to a smaller size. The event lasts three days, and every hour is packed with something fun to do or see. I first heard of this convention last year from a member on HalloweenForum.com. Not too much detail was given, except a website and that it would be a fun thing to go to since I live in the state. I had never been to a convention before, and figured it was worth a go. I can firmly say that my decision to go was a great one judging by the gigantic animatronic scarecrow greeting us at the door. Not wanting to over-do it, I browsed vendor tables and shot the breeze with WWE star, The Boogeyman. Eventually, my brother, who I took with me, convinced me to venture into the celebrity room where I met a kindly older gentleman by the name of Sid Haig. I was starstruck. It’s no surprise that I attended again this year. 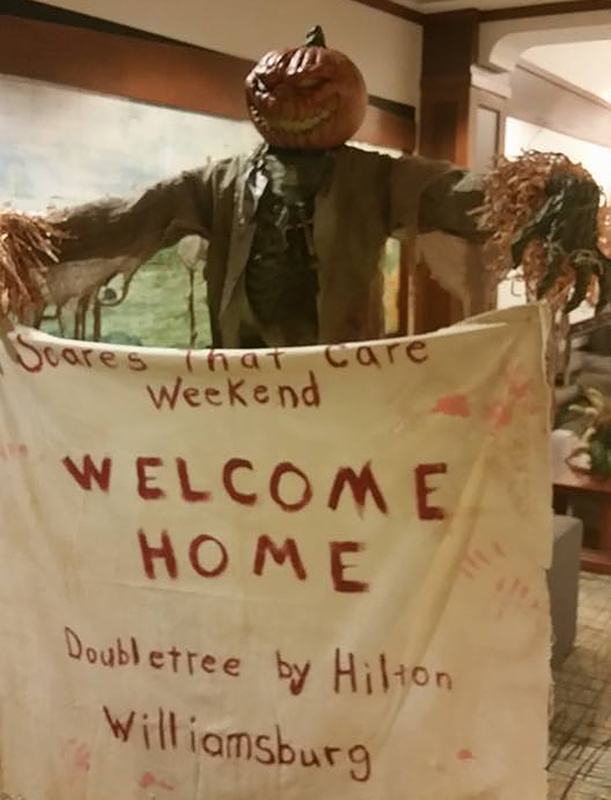 Same as before, we were greeted by the scarecrow welcoming convention goers to the event. The familiar smell of candy and plastic costume masks filled my lungs as I headed straight towards the celebrity room. This time I was prepared. I did my research, wore my Re-Animator shirt and marched straight toward Jeffrey Combs’ table. I think I made an impression too; he liked the “free advertising” with my shirt, and gave a big smile when I mentioned one of his lesser-known roles as being my favorite. Next up were rooms full of merchants and vendors selling the most outrageously awesome goods found nowhere else. Crocheted zombies, apparel, books, and ghastly knickknacks on every table. After we bought our wares, we sat down for the Friday the 13th cast discussion panel, where four Jason’s (parts 2, 5, 6, and 7-10) and Nikki from Part IV answered fan questions. We were lucky enough to ask two questions: did they keep any memorabilia from the film set, and how did they feel about remakes. No one really had any memorabilia except Kane Hodder, who tricked the film crew into taking a fake mask while he held onto the real one. And surprisingly, none of them had cared enough to see the newest Friday remake. They felt that something so influential shouldn’t be remade. The last item on the list was a final visit to the celebrity room. 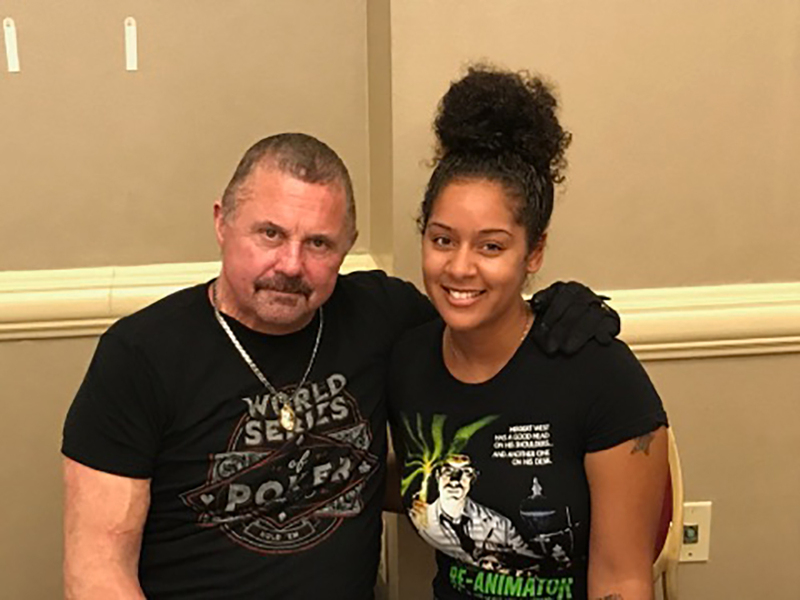 Kane Hodder was back at his seat, chatting with another guest when I walked up. He graciously signed a photo for me, and recalled knowing someone from his school days also named “Celia” (which I was excited to hear). He even joked with me about mistakenly being called “Cecelia” and I walked away with another awesome personal encounter with one of the most famous people in the horror business. These past two years I’ve only been able to stay for one of the three days, but each year I venture out a little more. I appreciate having an event that means so much to a hallo-geek like me as well as to a others struggling with illness. And that’s part of the reason I like Scares That Care. The cause is wonderful, and the atmosphere is amazing. It makes you feel like family. 2017 was only its fourth convention year (though it’s been a charity since 2006), but I can’t imagine it going away anytime soon. That’s a good thing because I’ll be coming back again next year. If you find yourself in southeastern Virginia next July, stop by Scares That Care Weekend and give the little guys a chance. You won’t regret it.